When we sleep on the stomach or on one side, we tend to ‘mash up the face in the pillow’ causing excess pressure on the skin that leads to wrinkles. So sleep on your back as far as possible. This is the best and easiest way to get rid of wrinkles and prevent new ones. You can sew in some tennis balls in your sleeves to prevent turning on the sides. Grapeseed oil is an ingredient found in many anti-aging skin creams. It fights age spots and wrinkles and you can use it on the face and hands too. Grapeseed extracts and oil both contain moisturizing properties that give you a younger and brighter look. Mix the contents from a caplet of vitamin E with a teaspoon of cold pressed coconut oil and smooth it all over the forehead, under eyes and around mouth. Leave it on for 10 minutes before rinsing off. With regular use, the fine lines will diminish. Make an infusion of comfrey leaves and flowers. Mix ¼ cup of the infusion with a bit of witch hazel extracts and add a few drops of patchouli essential oil to the mixture. Apply it all over the forehead, around the mouth and under eyes and even treat wrinkles on hands with it. Wash off after 15 minutes. Repeat this remedy every day for 2 weeks to see results. Rub crushed pineapple or pineapple juice on the wrinkles. Alternatively apply papaya pulp on the face. The bromelain compound in these fruits fights wrinkles to give you a fair, youthful glow. Make a deep nourishing cream with puree of avocado, flaxseeds and honey. Blend the contents and apply the cream on the wrinkles. Wash off after an hour. This remedy will reduce severity of existing wrinkles. Apply a mixture of castor oil and lemon juice all over the wrinkles. 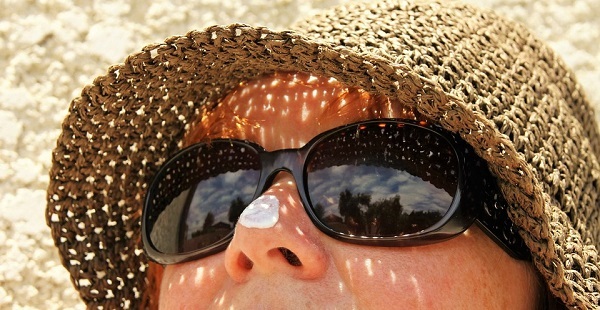 Skipping sunscreen will bring on unwanted wrinkles. Even 5 minutes of exposure to the sun’s rays in summers can age you considerably. Slather on sunscreen all year round and in summers reapply it every few hours to get rid of wrinkles, age spots and dullness. Do not forget to use the product on your neck and hands as well. Eye strain causes squinting which can lead to wrinkling under eyes. So get your eyes checked and use glasses if you need vision correction. If your work requires you to spend prolonged periods at the computer, take frequent breaks from time to time. Nicotine has many harmful effects one of which is premature aging. Smoking depletes the collage and elastin layers which are necessary for the skin the elasticity it needs to look younger. So quit smoking if you wish to get rid of wrinkles on forehead, around mouth and under eyes. Crash dieting will give you a prematurely aged look. Instead, eat healthy and exercise daily to maintain weight. Include plenty of healthy oils in your diet especially the ones found in flax seeds, fatty fish, avocados, walnuts, and olive oil. These will give your skin a supple, natural glow and prevent wrinkles. Regular exercise is necessary for a healthy glow on the skin. A brisk walk or 30 minutes of cycling are some great workouts. The right amount of exercise will add a healthy, rosy glow to your cheeks. Yoga, particularly facial yoga, is also recommended to improve flexibility and make the skin shinier and radiant. Sugar depletes collagen layer of the skin which keeps it elastic and supple. Limit your intake of refined sugar and also reduce carbohydrate intake. Eat lean protein, whole grains, fruits and vegetables as well as sea food to get rid of wrinkles naturally. Avoid certain bad habits like leaning the face on the hands. This will only exacerbate aging. While this won’t do anything to help you get rid of existing wrinkles around the eyes, it will certainly prevent new ones from forming. Use UV protecting and polarized glasses with broad frames. The best wrinkle fighters available in the market are the ones with vitamin A derivative known as retinoid. They prevent already formed lines from deepening further. Antioxidants like Vitamin C, Quercetin and COQ10 enzyme protect the skin from developing wrinkles. 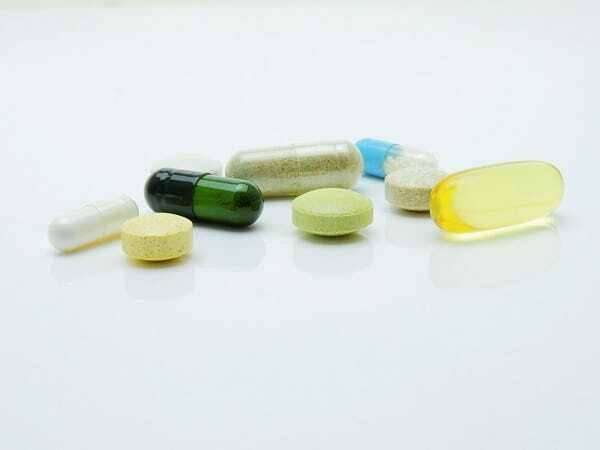 Take these vitamin supplements orally. You can also use creams containing these vitamins topically to get rid of wrinkles fast. Try these 14 easy ways to get rid of wrinkles naturally and quickly.